This free doctor WordPress theme is minimally designed with clean layout and sophisticated design to give the desired professional look to any type of medical and health website. It is made for hospitals, clinics, nursing homes, veterinary hospitals, surgeons, ambulance services, physiotherapy centres, health care centres, medical stores and all such websites. It is a modern theme based on recently launched WordPress version to keep website updated; clean and bug-free code further makes your website run longer without causing any problem. 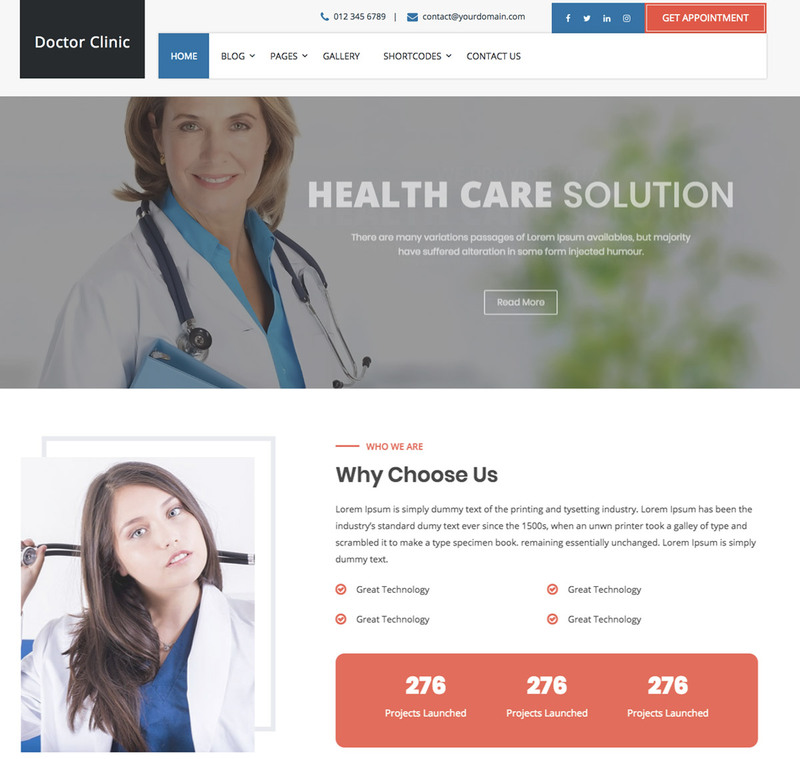 This free doctor WordPress theme is responsive, cross-browser compatible, translatable, social media supported and retina ready. It has WPML compatibility with RTL support to easily translate website into any foreign language. Even though it is a minimal theme, you can always integrate third party plugins to include advanced functionality in your website. Customization is allowed but only on some elements like you get to change its logo and slider settings without knowing a single line of code. This free doctor WordPress theme is made to perform excellently in search engines to secure a higher rank for your website. Because of its compatibility with WooCommerce plugin, displaying products in many attractive layouts won’t take much of your time. It is thoroughly documented for easier use.